As kids grow older, they may not always want to do things with their parents. 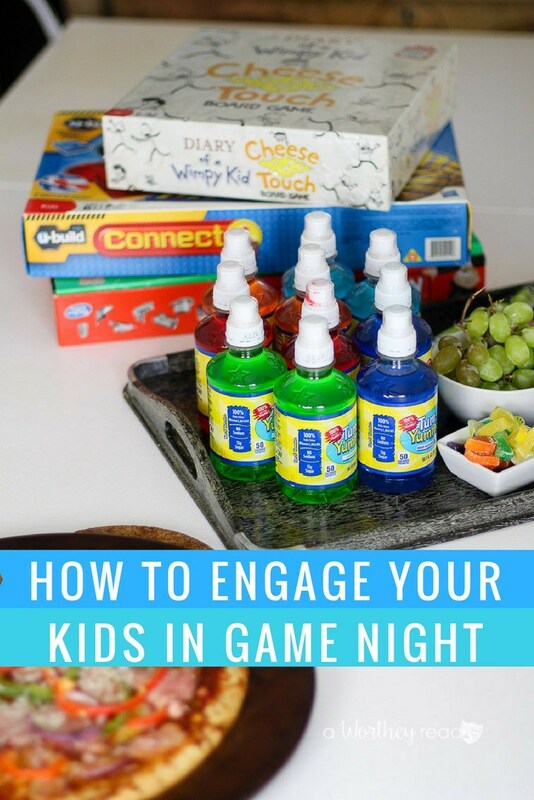 If you’re struggling to find ways to engage them in game night, I’ve partnered with Tum-E Yummies to share tips on how. 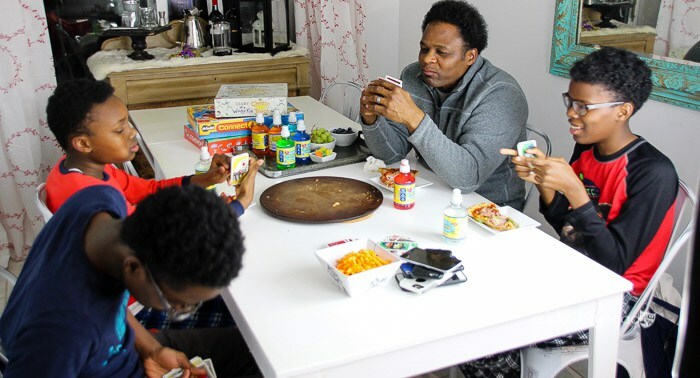 Family game night is a great way to put down the devices and engage the whole family into connecting with each other. It’s a typical weekend in the Worthey household, and everywhere you turn, a kid is on some device. From their phones to gaming systems, everyone has their head stuck in a gadget, including the parents. We live in Michigan, which means we have many months where we are stuck indoors. For the most part, this is not a big issue with older kids. They are fine with being holed up in their room on their phones, playing video games, gaming systems, and other devices. No devices at the dining room table. (this includes Mom and Dad). During the school week, screen time is limited. During the warm weather months, screen time is also limited. The boys are encouraged to spend time outdoors, which is usually not a big deal since they love to play basketball. We also create random zone-free times from technology and spend time together as a family. On vacations, we encourage the boys to take photos and document their travels. However, we still create zone-free times where we can enjoy creating memories together as a family. Devices are also turned off during family game nights. I’ve noticed with the twins growing up and developing into young teens, doing stuff together as a family seems boring. They would rather invest their time into hanging out with their friends, the latest social media apps, YouTube videos, or video games. Yes, all of that is fine and dandy. But, as their Mom, I’m starting to feel some type of way, being disconnected from them. We talk to them, encourage and remind them our doors are always open and find ways to get on their levels. But, sometimes I feel that’s not enough. 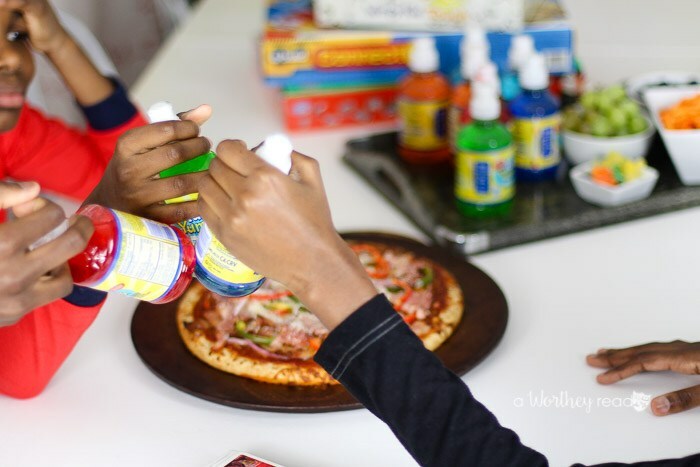 How do you make family game night “cool” for older kids and tweens? 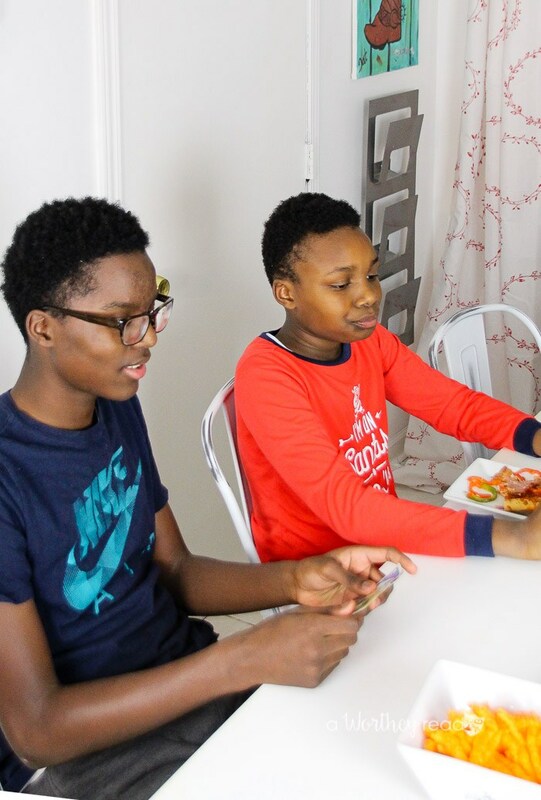 Well, we’ve put our heads together and come up with some ideas on how you can engage your teens into a fun family game night! Food and snacks. Food is imperative to the health and development of adolescents, especially boys. My boys eat all the time, like all the time! So, make sure you have a variety of snacks and food. We usually opt for pizza (you can check out our homemade pizza recipe here). Music. Help lighten the atmosphere by letting the kids pick their favorite genre of music. You may cringe at their choice of music, but keep in mind, they are enjoying the game night! Game choices. Let your kids be a part of deciding which games you will play, which may include a variety of board games (and even games including technology). Invite their friends. A great way to get your kids involved in the game night is to have them invite friends. Imagine how much livelier your game night will be a house full of boys. Make up your own rules. A fun way to liven up the game night is to change the rules of the game. My boys love doing this, plus it provides them ways to think outside the box. 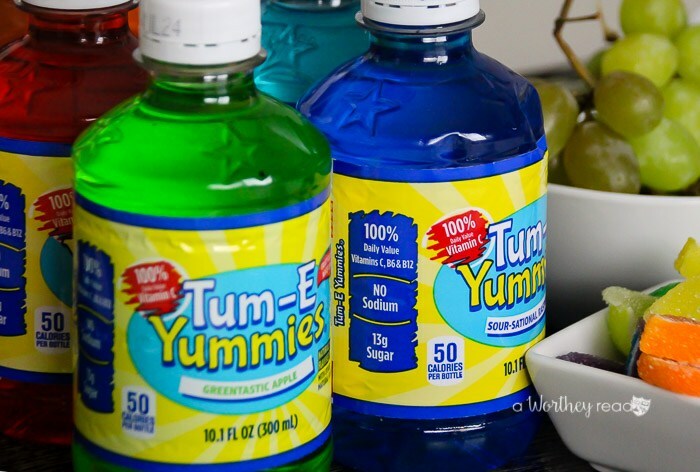 What I like about Tum-E Yummies flavored water is it’s a great choice for my boys, filled with essential vitamins, and no sodium. They are also great to keep your kids hydrated, and we will continue to use them during the summer months when the boys are outside playing basketball. Plus, they were a great addition to our family game night. 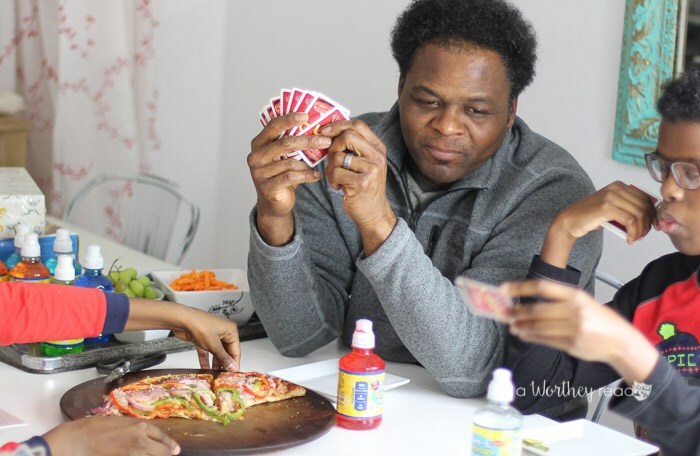 When it comes to planning a family game night with your kids, keep this one thing in mind. Game night is a way to connect with your family, including opening up dialogue for conversations on topics that may be of interest to them. 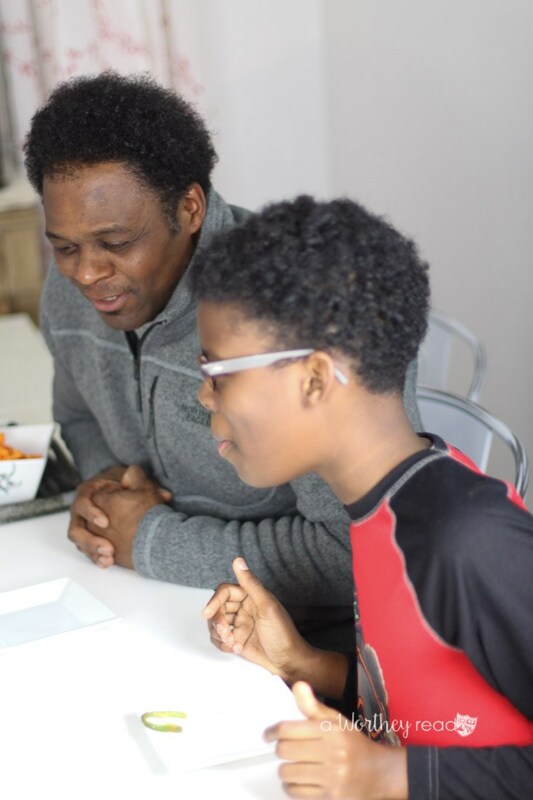 Many times we sit around the table and talk about current events, things that are bothering the boys, what’s going on at school, girls, and how to continue to show kindness towards each other. Regardless of the games, you may play, just have fun. 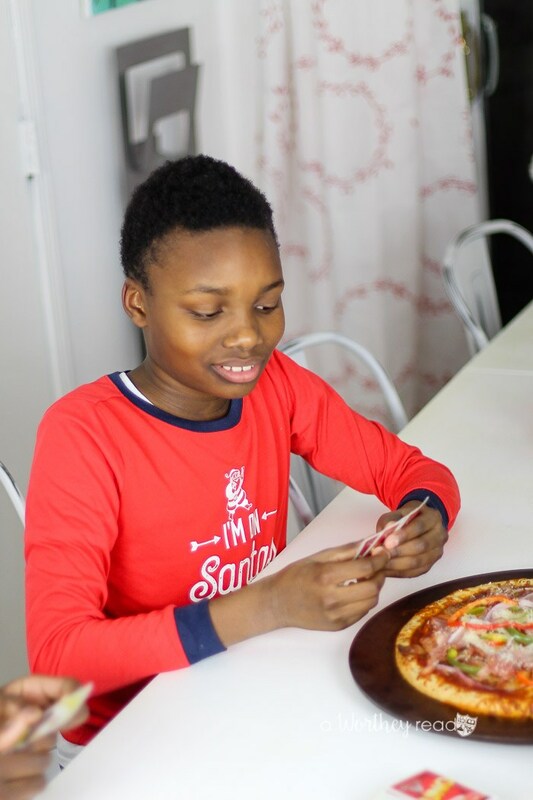 Planning a family game night is a great way to pass the time on a cold, winter’s night, but it’s also a time to reconnect with your family. 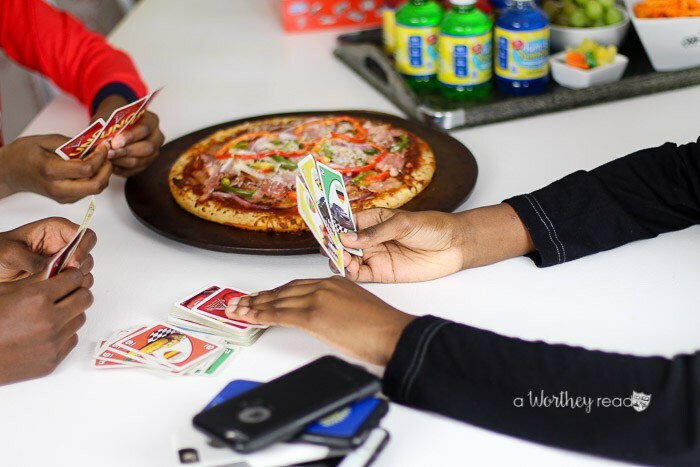 What are some ways you engage your kids and tweens into a family game night? Feel free to share comments below. 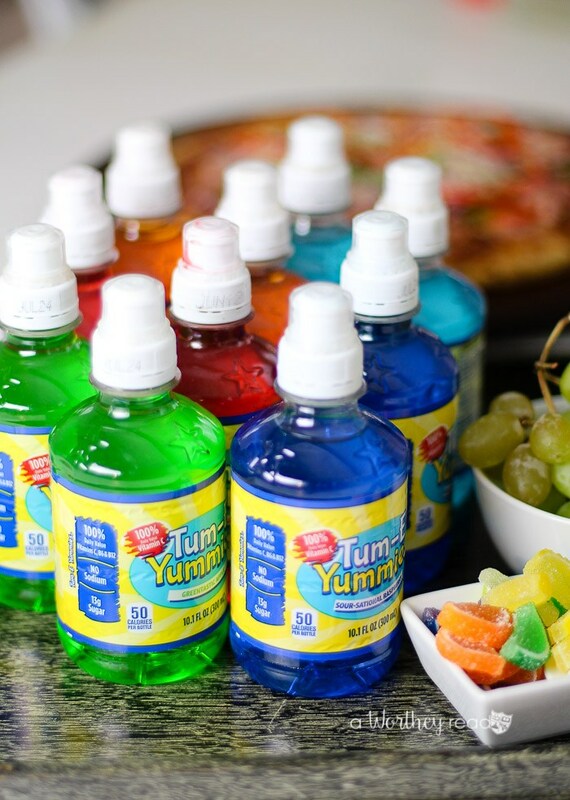 Also, you can find more information about Tum-E Yummies by visiting their website. Plus, you will find a coupon on their site to help you save money on your game night purchases! 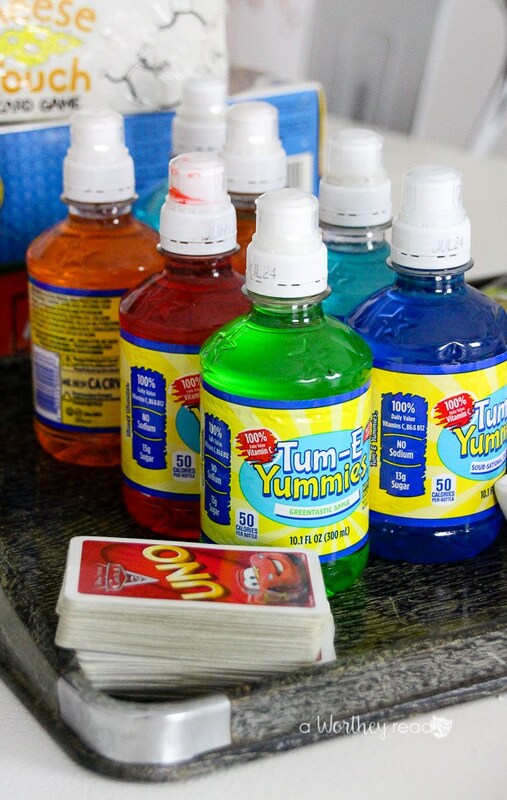 For more family game night ideas, be sure to find ideas on Tum-E Yummies Facebook page, Pinterest, and Instagram accounts.